Start the day fishing with the family, put the rods up and have a nice lunch relaxing in the bow and then have a memorable afternoon pulling the children on the tube. 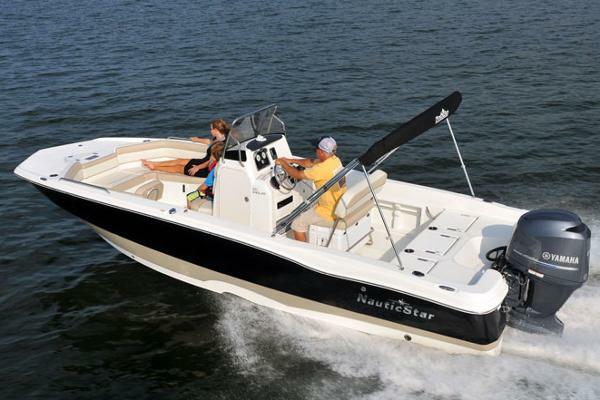 The 231 Angler with NauticStar’s STAR Performance System does it all. 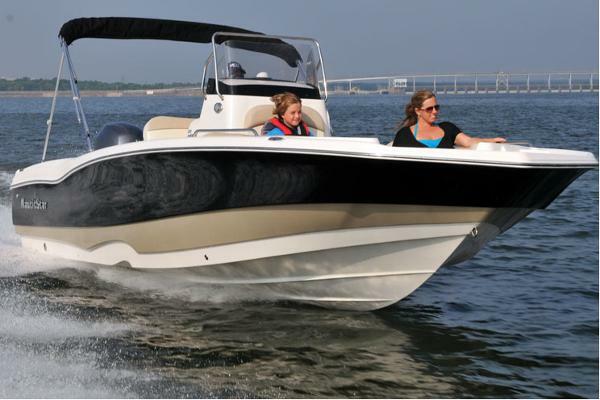 Seating for 10, a Bimini Top, Bluetooth Stereo, and a swim platform are all standard features. 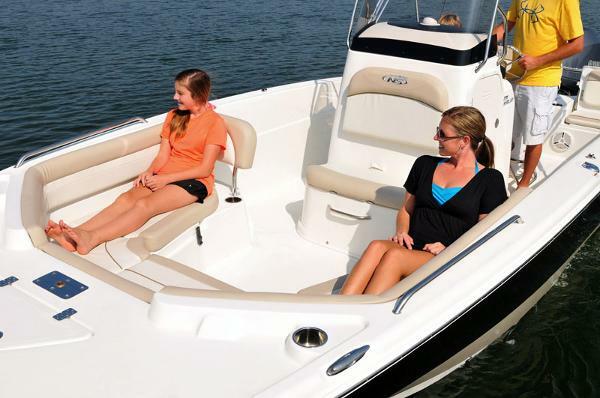 2 aerated live wells, 2 insulated fish boxes, 2 onboard coolers and a center console with head compartment are more of the fishing and comfort features that the 231 Angler offers. Performance, comfort and versatility describe this amazing craft.